I sat down to make a Christmas card using the colors from this week’s Global Design Project challenge, but a festive any-occasion card came out instead. 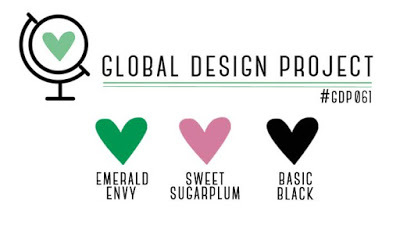 The color challenge this week is to use Emerald Envy, Sweet Sugarplum, and Basic Black. I kind of scratched my head at the combination, but it turns out that I love these colors together! I just never know until I start playing with them. Don’t you love it when you find a second use for something you already have? 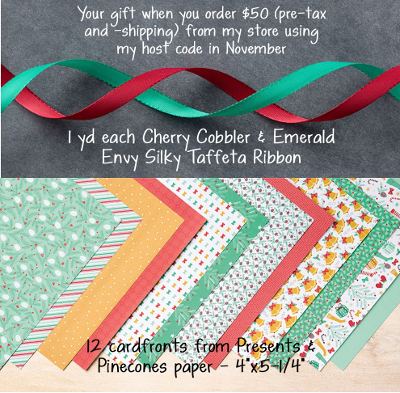 This beautiful stamp/die bundle makes gorgeous Christmas cards (see an example here), and look at this festive celebration card! This could work for a birthday, graduation, new baby (especially done in soft colors), wedding, anniversary — any celebratory occasion. 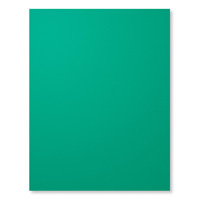 The card base is Emerald Envy (5’1/2″x4-1/4″), and the white panel is Whisper White. I love stamps that allow you to create your own background. 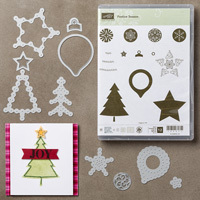 The Festive Season stamp set has several stamps perfect for creating backgrounds. 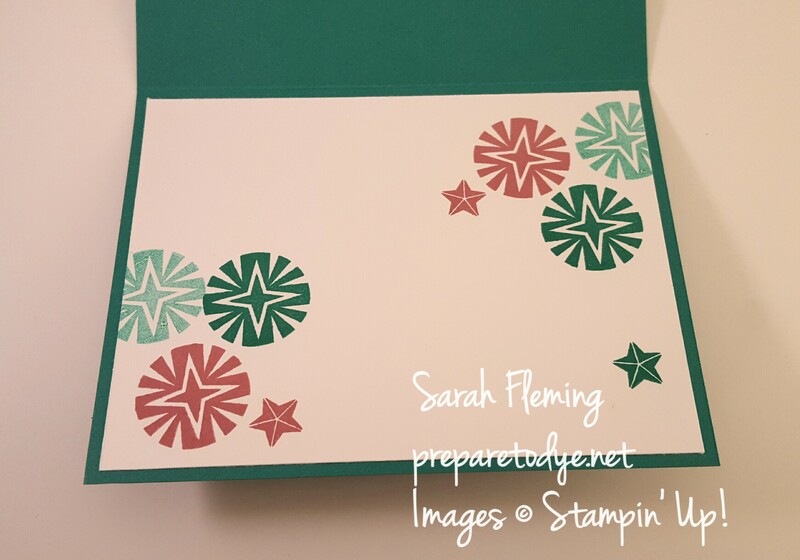 I did three groupings on my card, and for each grouping I stamped the starburst image twice in Emerald Envy (without re-inking the stamp in between — that’s how you get the two different shades of green) and once in Sweet Sugarplum. 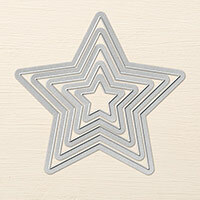 I then stamped the small star image once in each grouping, in Sweet Sugarplum ink. And that’s all there is to the background! Easy. You could use any sentiment here. 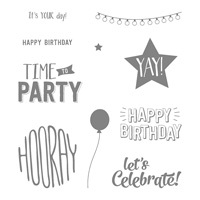 I chose the “let’s celebrate” stamp from Confetti Celebration, because this card just feels like it’s ready to party. 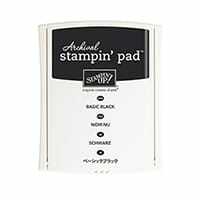 I stamped the sentiment in Archival Basic Black. 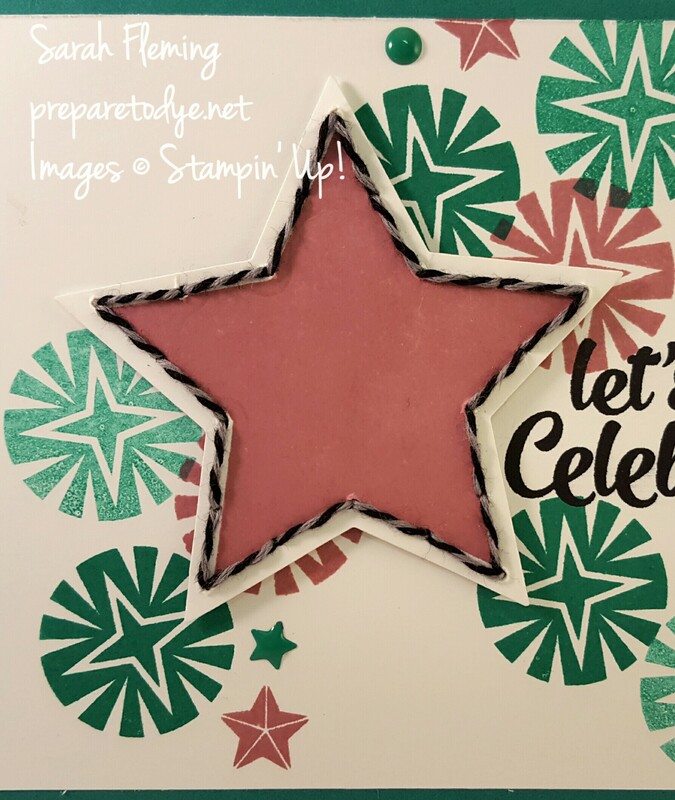 I stamped the solid star image from the Festive Season bundle in Sweet Sugarplum, then lined up the Festive Stitching Star die so the stitching holes would be right along the outside of the star. Yes, a die punched all the stitching holes for me! The Festive Stitching Thinlits make hand-stitched cards so easy. I cut the star out using the Stars Framelits. I stitched the outline of the star using the Halloween Night Baker’s Twine. There’s no reason to stop using it just because Halloween is over, right? So Christmas + Halloween supplies = non-Christmas / non-Halloween card. After I started the stitching, I held down the end with a small piece of Tear & Tape. I did a simple backstitch, and when I finished, I taped down the other end. I popped the star up on Dimensionals. To finish off my card front, I added two stars and a dot from the 2016-2018 In Color Enamel Shapes. 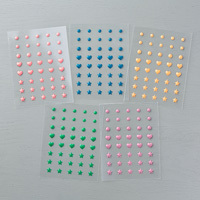 I just love these tiny embellishments! I did two more stamp groupings on the inside of the card. I will stamp another sentiment when I decide what event this card will be for. To print this tutorial, go here –> tams# 10070. 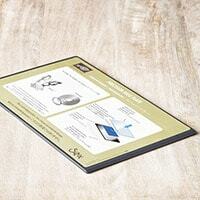 Links to the products I used to create the card are below. Finally, if you love to craft like I do, I’d love for you to join my Stampin’ Up! team! 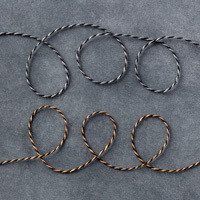 Join now to get the demonstrator discount through March, along with a lot of other wonderful benefits. 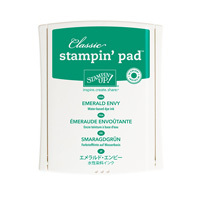 I love hobby demonstrators as well as demos who want to make a business out of Stampin’ Up!. 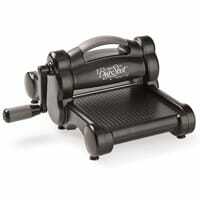 Click the link or email me for more info! Hello! 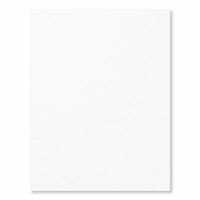 My name is Sarah Fleming, and I'm a paper addict living in central Texas. 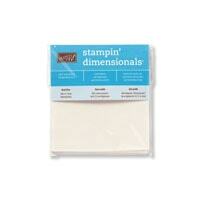 I'm an independent demonstrator for Stampin' Up! 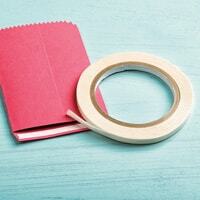 and love to teach others how to make lovely paper projects. I always have ink-stained fingers (I'm okay with that). I also knit. If you're in the USA, I'd love to be your demonstrator!